The aluminum ruler by Design Letters convinces with its compact and elegant design made of aluminum in black and white. 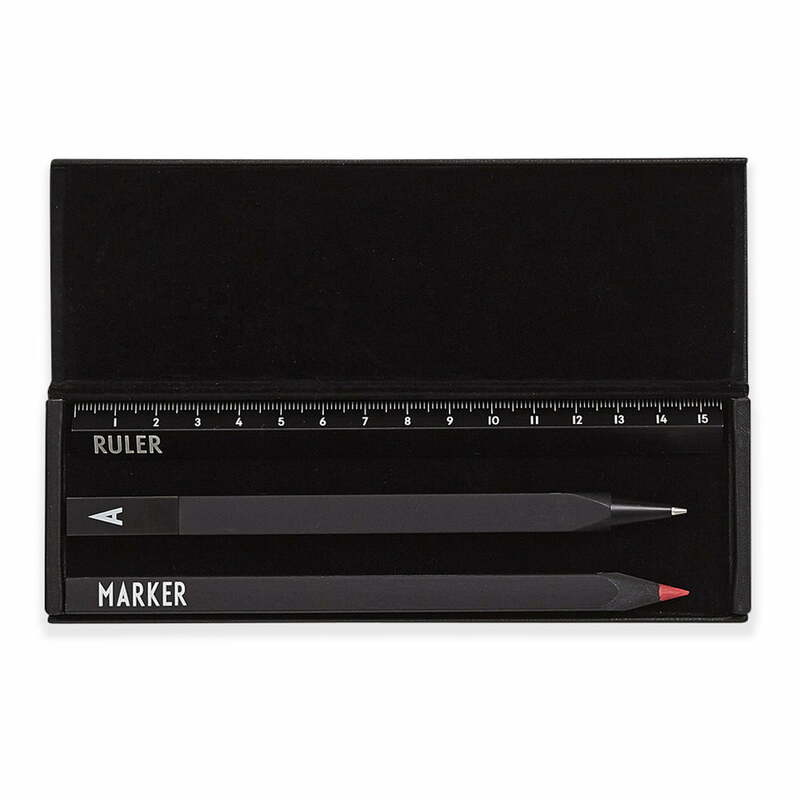 It fits into any standard pencil case and also boasts a timeless design and distinctive numbers designed by Arne Jacobsen. The Arne Jacobsen ABC Collection by Design Letters is based on a typography originally designed for the Aarhus Town Hall in 1937 by the Danish designer. Used on porcelain, textiles and paper, the letters, numbers and special characters are modern and decorative details for lovers of Scandinavian minimalism. The aluminum ruler by Design Letters convinces with its compact and elegant design made of aluminum in black and white. It matches the Personal Pencil Case and features numbers from the AJ Vintage ABC by Arne Jacobsen. Personal Pencil Case by Design Letters: On the inside, there is enough space for multiple pens, a pair of scissor or a ruler yet it is still compact enough to be stowed away in a space saving way.